Get bored eating the same thing over and over? You just need the right tools and the right skills! 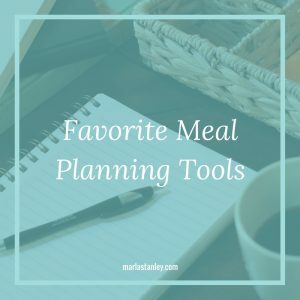 Here are my favorite meal planning tools and resources for you to check out. First, if you haven’t yet, go check out my Meal Planning Cheat Sheet to get started planning a week of meals with what you have already on-hand to work with! PS-it’s FREE! Now, you NEED to get my favorite all-time planning tool, Plan To Eat. It’s a drag and drop no-brainer where you can store all your recipes, plan in minutes, and have your grocery list automated. WINNING! Even more features are on there, but go check it out for yourself. Next, you may look at the Plan to Eat planner and even go through my FREE Bonus Lessons with the Meal Planning Cheat Sheet, and realize that you have no clue how to create a healthy and nutritious meal plan for yourself, your spouse, your kids…simple solution. 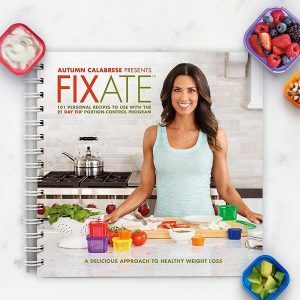 You need to get your hands on the FIXATE Cookbook! This is full of 101 family favorite style recipes: spaghetti and meatballs, mac and cheese, appetizers, entrees, even desserts and treats. Added bonus-it has a full nutrition guide to help you eat the foods you love and still lose weight! Get the FIXATE Cookbook with portion containers! Lastly, a fun little website to help you figure out how to use what you already have in your cupboards, pantry, and fridge, is called MyFridgeFood.com. You just put in the things you have on hand, and you can get ideas, even direct links to recipes for how to use what you have. This is KEY when it comes to thinking creatively to plan meals with the Meal Planning Cheat Sheet I mentioned above.